(Nanowerk News) Microelectronic chips used to take pressure readings are very delicate. A new technology has been developed that makes pressure sensors more robust, enabling them to continue operating normally at temperatures up to 250 degrees Celsius. The new pressure sensor works at temperatures of up to 250 degrees Celsius. Yet there is one major hurdle: on average, the pressure sensors can only withstand temperatures of between 80 and 125 degrees Celsius – but at great depths the temperature is often significantly higher. The Fraunhofer Institute for Microelectronic Circuits and Systems IMS in Duisburg has come to the rescue, its researchers having developed a pressure sensor system that continues to function normally even at 250 degrees Celsius. "The pressure sensors consist of two components that are located on a microelectronic chip or wafer," explains Dr. Hoc Khiem Trieu, department head at IMS. "The first component is the sensor itself, and the other component is the EEPROM." This is the element that stores all the readings together with the data required for calibration. 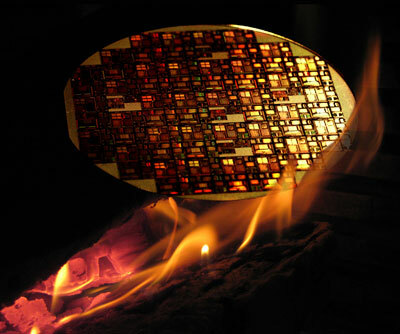 To enable the pressure sensor to function properly even at extremely high temperatures, the developers modified the wafer. While normal wafers tend to be made of monocrystalline silicon, the researchers chose silicon oxide for this application. "The additional oxide layer provides better electrical insulation," Trieu continues. "It prevents the leakage current that typically occurs at very high temperatures, which is the principal reason that conventional sensors fail when they reach a certain temperature." The oxide layer enabled the researchers to improve the insulation of the memory component by three to four orders of magnitude. In theory, this should enable the pressure sensors to withstand temperatures of up to 350 degrees Celsius – the researchers have provided practical proof of stability up to 250 degrees and are planning to conduct further studies at higher temperatures. In addition, the researchers are analyzing the prototypes of the pressure sensors in endurance tests.